Finetech Consultancy - Google Partner is pleased to introduce you to our latest application WhizzCloud which will help you to design and manage professional email signatures of all users within your organization. 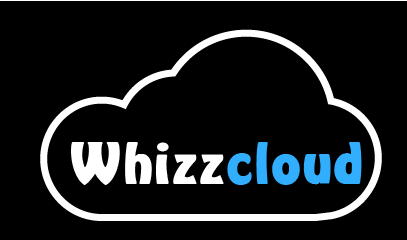 Due to number of suggestions our Software team implemented and going to launch Whizzcloud because we know that your Email Signature is as important as any other part of your Corporate identity. Using a well designed email signature enhances the image of the whole company. Signature Management will helps you to centrally manage your Company email signatures, and include branding, contact information, social media links, and even schedule news and events. Best G Suite (Google Apps) integration in class. Single sign-on, seamless installation, automatic users import, user profiles, organizational units, images, you name it. Developed for G Suite (Google Apps) customers. Ready-made professional signature designs Choose from a wide array of ready-to-use optimized email signature templates in various designs and get going in minutes. Departments are different. So can be your templates ! Define multiple signature templates and assign them to different groups. Sales department needs to include other information than customer service? No problem. Turn signatures into a new marketing channel Our smart Marketing Planner turns email signatures into a new marketing channel. Promote your upcoming event, new product or anything else. Email recall Recall internal emails Delete email received from a phishing attack Hunt down harmful emails sent into your domain. This newly added feature of Whizz Cloud connects your mobile phone with your laptop or pc and giving you the ability to easily dial numbers, answer and end calls and write SMS messages all from your desktop and also directly from Gsuite. Easily contact Leads, Accounts and Contacts by selecting the call or text icon next to the number. By using this feature you won't miss any important notification in future. This is a searchable directory in Gmail of all the users, groups, shared contacts, and resources defined for your G Suite domain. Share your Gmail contact groups with specific users or groups of users. Shared contacts appear in search and show-up in Gmail autocomplete. Permissions management(Read Only/Can Edit/Can Delete).